Is your company ready for AI? It seems a simple enough question about Artificial Intelligence. To determine if you’re ready for AI, all you need do is look back to the dawn of the Internet era for the answer. Back then, most retailers were of the mistaken belief that if they created a website that somehow made them an Internet company. So buh-by Borders, Circuit City, and Tower Records. Remember them? These days, investors are keeping lists companies they think might be next on the retail business scrapheap — all because they failed to recognize the opportunity that the Internet presented as well as the threat posed by the world’s leading Internet retailer Amazon. Clearly, we are now in the era where artificial intelligence is being harnessed for competitive advantage.Click To Tweet Many experts are of the belief that companies that fail to embrace the AI opportunity may face similar demise. 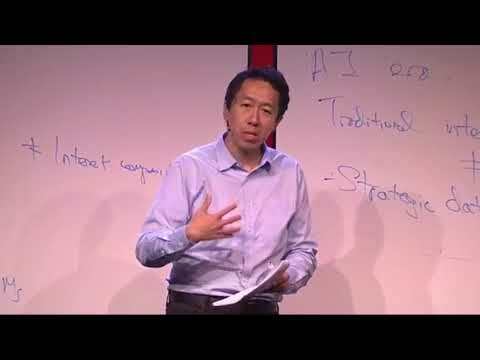 AI thought leader Andrew Ng compares the Internet Era to the AI Era. Andrew Ng worked at Google, where he founded and led the Google Brain Deep Learning Project. He moved on to found Coursera to offer free online courses for everyone. Next, he joined, he joined Baidu as Chief Scientist where he has continued his work in big data and A.I. He left in 2017 and has just announced he is raising a $150 million AI venture capital fund. He distilled becoming an AI Company into one simple equation. Andrew Ng maintains you’re not really ready to be an AI company until you make strategic data acquisitions and gather up all your data into a centralized data warehouse. In other words, data science and analytics are closely related. You can’t really have one without the other. Data science is the use of statistical methods to find patterns in data. Statistical machine learning uses the same math as data science, but integrates it into algorithms that get better on their own. Artificial intelligence is the general field of “intelligent-seeming algorithms” of which machine learning is the leading frontier at the moment. To put it another way, the path to AI is through Data Science. In an article entitled, “How AI Fits into Your Data Science Team“, Hilary Mason explained the nuances in a conversation she had with Harvard Business Review senior editor Walter Frick. She is the founder of Fast Forward Labs, a machine intelligence research firm. Simply tacking on machine learning does transform an organization into an AI company. How do you tell if your company is ready for AI? You are ready for AI if you have a Chief Data Officer, a Data Science team, strategic data acquisitions, and a centralized data warehouse. At that point, you can start getting serious about AI. 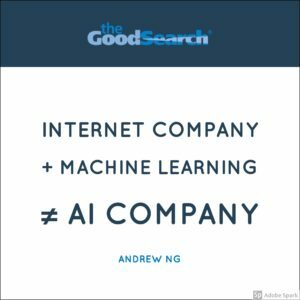 As Founder and CEO of the retained executive search firm The Good Search, a firm that specializes in data analytics and AI, I have witnessed some of the leading technology companies transform themselves into AI Companies. In fact, the CEO of one such company made Artificial Intelligence a strategic imperative. All decisions since then have flowed from that commitment at the top. That happened years ago. In other words, if you’re just now starting to think about hiring AI leadership talent and building out a team, you’re late to the party. But maybe those intelligence machines can figure out a way to play catch up.